White pepper consists of only the inner seed with the pericarp removed by soaking and rubbing when dry. White pepper has a milder, more delicate flavor than black pepper, and is useful for adding a peppery flavor to light-colored sauces and soup without adding black color. 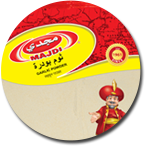 Majdi Turmeric powder is prepared from specially selected double polished “Rajapuri turmeric. 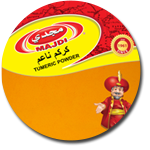 It is a bright yellow spice powder is made from dry Turmeric Rhizomes. Turmeric’s main ingredient is ‘curcumin’ which exhibit a wide range of medicinal activities Turmeric is useful for its colour, flavor, cosmetic and medicinal properties. Red Chilies are one of very popular spices known for medicinal and health benefiting properties. To harvest, chilies can be picked up while they are green or when they reach complete maturity and dried in the plant. Usually, the fruits are picked up by hand when they are matured and turned red. They are then left to dry, which causes them to shrivel. Chilies have a strong spicy taste that comes to them from the active alkaloid compounds: capsaicin, capsanthin and capsorubin. Chili powder is a widely used spice in various soups, stews, and — of course — chilis. It can also be used as a component of marinades or dry rubs for meats as well as incorporated into burgers. Chili powder is actually a fairly healthy seasoning, with significant amounts of several beneficial nutrients. The extra hot red chili help in adding pungent and irresistible taste to the food. 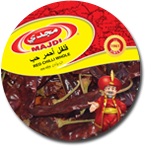 Crushed Chillies can be used as a garnish for pizza toppng, chicken, meat and fish preparations. 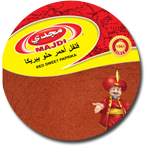 Extra Hot Red Chilli are widely used for coloring and flavoring in different cuisines and dishes. It is also used as a major ingredient in different seasonings, pepper and tabasco sauce. Pimento powder is prepared by grinding the dried berries of Pimenta officinalis L. it’s flavor represents a combination of clove, cinnamon, nutmeg and pepper. Onion powder is made from dehydrated onions, giving it a concentrated flavor that pairs well with many foods. Using onion powder when cooking offers health benefits because it contains some nutrients. These are onions that have been chopped and then dehydrated. They lack much of the pungency of fresh onions, but they’re convenient and have a great flavour and aroma. Mustard is a round hard seed, varying in colour from dark brown to black, smaller and much more pungent than the white.Once you add mustard seeds to your spice cabinet, the word will take on a whole new meaning, as you will also relish the spicy, aromatic rustic taste and fragrance that mustard can add. 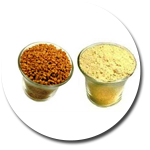 Meat tenderizer powder is an enzyme that helps break down meat fibers, rendering tougher cuts of meat more palatable. To use it, sprinkle it liberally on the selected cut of meat, and then use a fork or meat tenderizer tool to help the powder penetrate deeper into it. The powders may also be added to marinades. Black Seed appropriately known as the “seed of blessing” is considered to be one of the greatest healing herbs of all times. Kalonji, which may also be called nigella, refers to small black seeds grown on Kalonji bushes.Kalonji is both flavoring, added to a variety of traditional foods, and an herbal remedy that has been touted as the magic bullet for a variety of ailments. Kalonji seeds are about the same size as sesame seeds, though they have a more triangular instead of oval shape. Dried ginger is nothing but fresh ginger which undergoes a drying process before being used. This dried ginger is then powdered in a mixer to obtain dried ginger powder. It’s a fine off whitish powder which has a strong aroma and slightly pungent flavor. Garlic powder has all the benefits of whole garlic because it is a powdered version of whole garlic. This powdered form makes it easy to cook with or take as a health supplement. Garlic powder has a nice aroma, taste and can add nutrition to your diet. Garlic powder is made from dried and ground garlic cloves. Garlic powder has a different taste than fresh garlic. 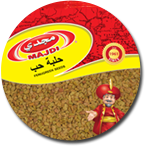 Strongly aromatic and flavorful fenugreek seeds are popular spices widely used for their well recognized for culinary as well as for medicinal properties. Traditionally, fenugreeks are being used to cure digestive problems and to improve breast milk secretion in the nursing mothers. Sweet, anise-flavored fennel seed together with thyme, nettle, mugwort, etc., has been revered as one of nine Anglo-Saxon sacred herbs for its health benefits. 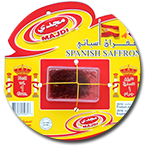 The spice is one of the most sought-after ingredients in many popular cuisines all over the Mediterranean regions. The name speaks for itself for this unique product. Fresh whole lemons are completed dried. This process serves to intensify their citrus taste and amplifies it incredibly making this unique product an ultra potent tool for any serious cook. Add a little dry lemon to any soup that needs that extra bit of lemon zing and you’re good to go. This wonderful concoction can also be used with all sorts of brewed teas, including summer time iced tea. Simply brew your favorite type of tea leaf and add a bit of our dried lemon flakes for that bit of sour zest to go with your tea. Dried lemon is rich in compounds that are considered to be helpful in preventing cancer, in addition to having vitamin C. Lemon can be good for your heart’s health and help you fight high blood pressure. Studies suggest that lemon is helpful in reducing the cholesterol level in the body. It can help enhance one’s beauty. It contains fewer calories, has no cholesterol or saturated fats, has one of the lowest glycemic indexes among fruits, and is rich in dietary fiber. Lemon powder is prepared by grinding dried whole lemons. It reserves the most of bioactive ingredients of lemon and also its property(color,smell,and taste). The best thing about dried lemons is that they tend to retain almost every good quality of a fresh lemon. It contains Vitamin C, citric acid , malic acid. It adds a delicious flavor to fruits, vegetables, salads, fish and pasties. In kitchen, it can easily substitute lemon juice in various recipes. You can also use it to prepare drinks. The lemonade will taste just as good if you sprinkle some lemon powder into a glass of water. You can also add it to freshly boiled tea. You can also mix lemon powder with sugar, in order to get lemon sugar. You can do the same with pepper in order to get lemon pepper. It can help detoxify the body, as it will act as a diuretic. It is also considered a tonic for the liver and can help you lose weight. When mixed with hot water, it can help treat various digestive problems. Last but not least, it helps boost your immunity system, thanks to its rich content of Vitamin C.
Cumin plant bears small, gray-yellow color, oblong shaped seeds with vertical ridges on their outer surface; that closely resembles caraway seeds in appearance. The distinctive flavor, strong and warm sense of cumin seeds on taste buds comes from a certain group of essential oils in them. 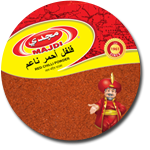 It is widely used as a spice and principally employed in cooking as a condiment and flavoring base. 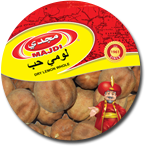 Its seeds have been in use since ancient times in the preparation of many popular dishes. 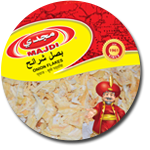 Along with other spicy items, it is being used as flavoring agent in chicken, fish, and meat dishes. The seeds are also been used in the preparation of soups, barbecue sauces, pickling and as one of the ingredients in variety of curry powders. Cumin seeds contain numerous phyto-chemicals that are known to have antioxidant, carminative and anti-flatulent properties. The seeds are an excellent source of dietary fiber The active principles in the cumin may augment the motility of the gastro-intestinal tract as well as aids in the digestion power by increasing gut enzyme secretions. 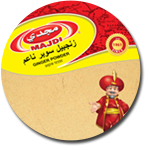 Cumin powder is prepared by grinding dried wholesome cumin seeds “. It has strong aromatic smell and warm bitter taste. It is rich in minerals and vitamin. 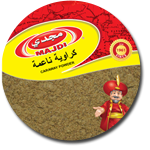 It is widely used as a spice and principally employed in cooking as a condiment and flavoring base. 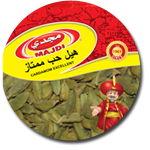 Its seeds have been in use since ancient times in the preparation of many popular dishes. Along with other spicy items, it is being used as flavoring agent in chicken, fish, and meat dishes. The seeds are also been used in the preparation. Cumin powder contain numerous phyto-chemicals that are known to have antioxidant, carminative and anti-flatulent properties. The seeds are an excellent source of dietary fiber The active principles in the cumin may augment the motility of the gastro-intestinal tract as well as aids in the digestion power by increasing gut enzyme secretions. 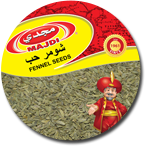 Pleasant, aromatic and spicy, the seeds have been in use since ancient times in cooking as well as in various traditional medicines. The seeds are ready for harvest when the plants turn brown, leaves begin to dry and fall. 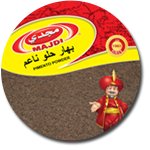 Dried coriander seeds are one of the common spice ingredients used worldwide. In general, completely dried seeds are gently roasted under low flame in a pan before ground in order to get fine powder. Roasting enhances the release of special aromatic essential oils in the seeds. Coriander seeds are used as flavoring agent in confectionery, stews, sausages, sweet breads, and cakes. Coriander leaves as well as seeds are being used as an aromatic spice most of the food recipes. Coriander seeds are carminative, aromatic , antispasmodic and stimulant. They are beneficial in the treatment of piles, intestinal worms and acidity. It is also used in the treatment of conjunctivitis, head ache and indigestion. 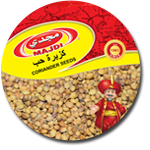 The ground coriander is obtained from the Coriander seed. Coriander powder has a pleasing whiff and taste. One can crush coriander seeds finely or coarsely as per recipe requirement. Coriander is used just as much in sweet dishes as in savoury ones. 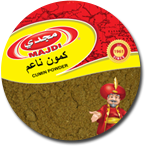 It is an essential ingredient of many curries and gravies as it has a mild aroma instigating the appetite. 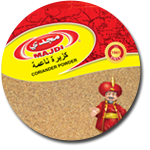 Coriander powder can be utilized well in barbecue Coriander powder is put in to give the dish a pleasing taste. The taste of the coriander also helps blend the tastes of all other spices that are added to the dish Adding ground coriander to pancake and waffle mixes. Apart from being an aromatic spice, it has many curative and cooling properties beneficial for health and thus is found in Indian kitchens as well as in making medicines. Coriander powder taken in combination with pinch of Asafoetida and rock salt is considered an aid to the digestive system. It is an appetite stimulant and aids in the secretion of gastric juices. 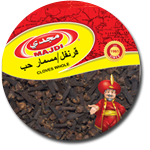 Cloves are one of the highly prized spices, widely recognized all over the world for their medicinal and culinary qualities. They are the “flower buds” from evergreen rain-forest tree. The flower buds are initially pale in color, gradually turn to green, and, finally develop into bright-red clove buds by the time of harvesting. This popular spice has been used in preparation of many regular dishes. Along with other spices like pepper, turmeric, ginger etc. is being used in marinating chicken, fish, and meat. The spice also features in the preparation of soups, barbecue sauces, pickling and as one of the ingredients in curry powders. The essential oil, eugenol in this spice has been in therapeutic use in dentistry as a local-anesthetic and antiseptic for teeth and gum. Eugenol also has been found to reduce blood sugar levels in diabetics, but further detailed studies required to establish its benefits. The decoction is sometimes used in treating flatulence and indigestion in traditional medicine preparations. It is also thought to have natural anti-parasite (kills intestinal worms) function. The essential volatile oils functions as a rubefacient, meaning that it irritates the skin and expands the blood vessels. Cinnamon is the inner bark of a tropical evergreen tree. 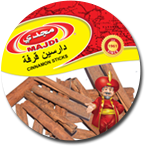 This delightfully exotic, sweet-flavored spice stick is traditionally obtained from the outer brown bark of Cinnamomum trees, which when dried, rolls into a tubular form known commercially as “quill.” When dried, it curls into long quills. Around the world, cinnamon spice is widely used as a spice. It is principally employed in cookery as a condiment and flavoring base. It’s used in the preparation of chocolate and in some kinds of desserts, such as cinnamon-apple pie and cinnamon buns as well as pastries, bagels, sweet rolls, spicy candies, tea, hot cocoa, and liqueurs. It has also been used in the preparation of soups. The active principles in the cinnamon spice are known to have anti-oxidant, anti-diabetic, anti-septic, local anesthetic, anti-inflammatory, rubefacient (warming and soothing), carminative and anti-flatulent properties. Cinnamon has the highest anti-oxidant strength of all the food sources in nature. Cassia bark is dark red-brown and is traded either as dark brown slivers or as quills. The aroma and flavor of cassia is highly perfumed, penetrating and sweet, with an agreeable bitterness, which some people prefer over true cinnamon. is used as a flavoring agent for confectionery, desserts, pastries, and meat; it is specified in many curry recipes It is used primarily for its aromatic bark, which is used as a spice. the buds are also used as a spice, especially in India. Cassia Bark powder is used as a flavoring agent for candies, desserts , baked goods and meat. It is specified in many curry recipes where cinnamon is less suitable. The simple touch of cinnamon infuses warmth and energy throughout your body. As part of tea blends, cinnamon improves the taste of less tasty herbs, aids digestion and adds powerful antibacterial power to cold and flu. Cassia strengthens the circulatory system and increases blood flow to the joints and other affected areas, according to “Prescription for Nutritional Healing. Cassia is also used to fight the spread of fungal infections such as athlete’s foot. 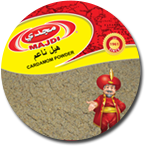 Cassia Powder is the ground form of the aromatic bark and is closely related to Ceylon cinnamon, but more economical. Cassia sticks are thicker, more difficult to powder. The characteristic flavor and aroma of the spice comes an essential oil of the bark called ‘cinnamonaldehyde’. Cassia powder is used as a flavoring agent for confectionery, desserts, pastries, and meat. Cassia powder is very aromatic. Reduces fasting blood glucose levels and enhances insulin sensitivity Lowers blood pressure levels among hypertensives Reduces blood triglycerides and cholesterol, especially LDL cholesterol Cures flatulence, diarrhea, indigestion Fights cold Reduces menstrual cramps Arrests even medicine resistant yeast infections Reduces proliferation of cancerous cells in leukemia and lymphoma It has blood anti clotting properties Relives arthritis related pain Boosts cognitive function and memory Eliminates bad breath. 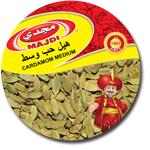 Cardamom is a seed pod, known since antiquity for its culinary and medicinal properties. cardamom varieties feature three-sided pods with a thin, yet tough papery outer cover and tiny deep-brown to black seeds that are arranged in vertical rows. The pods are being used as flavoring base in both food and drink, in cooking recipes and as well as in medicine. Whole pods are preferred in savory dishes, which give a further punch to the recipe since their peel contains certain amounts of valuable essential oils. This delicate spice is being used as flavoring agent in both food and drinks. It is used as a flavoring base in the preparation of tea, coffee, and cold drinks. This exotic spice contains many plants derived chemical compounds that are known to have been anti-oxidant, disease preventing and health promoting properties. Cardamom is a good source of minerals like potassium, calcium, and magnesium. Additionally, it is also an excellent source of iron and manganese. Further, these aromatic pods are rich in many vital vitamins. Whole pods are preferred in savory dishes, which give a further punch to the recipe since their peel contains certain amounts of valuable essential oils. This delicate spice is being used as flavoring agent in both food and drinks. It is used as a flavoring base in the preparation of tea, coffee, and cold drinks. The pods have been in use in the preparation of sweet dishes in many Asian countries. This exotic spice contains many plants derived chemical compounds that are known to have been anti-oxidant, disease preventing and health promoting properties. Cardamom is a good source of minerals like potassium, calcium, and magnesium. Additionally, it is also an excellent source of iron and manganese. Further, these aromatic pods are rich in many vital vitamins, including riboflavin, niacin, vitamin-C that is essential for optimum health. This exotic spice contains many plants derived chemical compounds that are known to have been anti-oxidant, disease preventing and health promoting properties. Cardamom is a good source of minerals like potassium, calcium, and magnesium. Additionally, it is also an excellent source of iron and manganese. Caraway seeds have a warm, sweet and slightly peppery aroma when squeezed between index and thumb fingers. 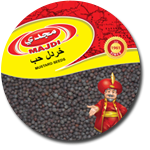 Its seeds are used extensively in European and Mediterranean cooking. In order to keep the fragrance and flavor intact, caraway seeds are generally ground just before preparing dishes or whole seeds are lightly roasted before using them in a recipe. Caraway seed is widely used as a savory spice. It is principally added in cooking as a condiment and flavoring base. It features in savory dishes, including cabbage soups, sauerkraut, and salads. Caraway gives its pleasant aroma to breads, cakes, biscuits, and cheese. Caraway is also an important ingredient in some of the northern European liquors like kummel, gin, and schnapps. In addition, along with other spicy items, they are being used to season sausage and other meat preparations. Caraway water is sometimes used in treating flatulence and indigestion in traditional medicines, especially used to relive infantile colic. It is also used in pharmaceuticals as flavoring agent in mouthwash and gargle preparations. Caraway extraction is used as a rubefacient (to soothe muscle sores), clear the cold, as a remedy in bronchitis and irritable bowel syndrome in many traditional medicines. (Medical disclaimer). Caraway poultices. Warmed-up caraway seeds that are placed on a gauze can be used to eliminate intestinal worms in cases of children. The poultices are applied on the stomach area. 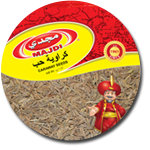 Caraway powder is prepared by grinding whole some seeds of caraway ( Carum carvi L). It has got pleasant odour, aromatic flavor and leaves a warm feeling in the mouth One gram of powder mixed with honey is another way of alleviating lack of food appetite and stimulating digestion. Against fermentation, colitis and diarrhea, caraway powder is mixed with mint fruits and is administrated four times a day for four weeks. It is the dried berries of Piper nigrum L. It is known for strong spicy aroma and hot pungent taste. 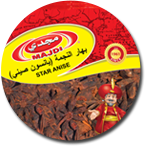 It is one of the oldest and most popular of all spices. It is known as the ‘king of spices’. Add pepper that you have freshly ground in a mill at the end of the cooking process. Since it loses its flavor and aroma if cooked for too long, adding it near the end will help to preserve its flavor Coat steaks, skewed paneer or chicken with crushed peppercorns before cooking. Keep a pepper mill on your dining table so that you can add its intense spark to a host of different recipes that you prepare. Olive oil, lemon juice, salt and black pepper powder make a delicious salad dressing. Black pepper stimulates the taste buds in such a way that an alert is sent to the stomach to increase hydrochloric acid secretion, thereby improving digestion. Black pepper is an excellent source of manganese, a very good source of iron and vitamin K, and a good source of dietary fiber. Black pepper has long been recognized as a carminative, (a substance that helps prevent the formation of intestinal gas). Derived from the herbaceous, flowering annual plant, Aniseed, sometimes spelled as anise, anis or anise seed, is considered a spice with a sweet licorice-like taste .It is of the Family Apiaceae, which makes it a relative of other plants like celery, dill, coriander, fennel and cumin. The powder derived from crushing and powdering aniseeds is referred to as aniseed powder. 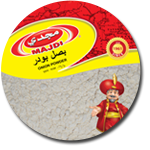 Powdered aniseed is used to flavor confectionary, breads and cakes, vegetables, stewed fruits, cheese dishes etc. Use the powder at the end of cooking to add aroma to your preparations. Aniseed powder is a common flavoring which can be used for cough mixtures and may be consumed orally as it is for cold, cough and other common throat infections. Aniseed powder when added to tea and drunk as an infusion, aids digestion. The appreciation of a delicious meal is something shared by people in every country. Adding umami to ingredients can make them more appetizing without destroying their original flavor. **The important elements of food acceptability are the tastes, “sweet” “sour”, “salty” ,”bitter”, and “umami”, which are known as the basic taste. A basic taste is an independent taste which can not be created even though the combination of other taste. 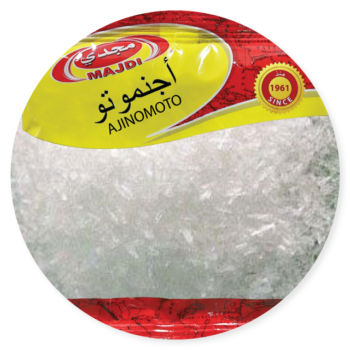 AFor almost 100 years, Ajinomoto has been making significant discoveries of the potentials of amino acids, which are renowned for their diverse health benefits as well as their taste-enhancing properties. The Tokyo-based corporation is also a leader in seasonings, food production, cooking oils, and various medicines. A leading corporation in Japan, Ajinomoto is aiming to contribute significant advances in Food and Health on a global basis. Black pepper powder is prepared by grinding the wholesome berries of Piper nigrum L.
Add pepper that you have freshly ground in a mill at the end of the cooking process. Since it loses its flavor and aroma if cooked for too long, adding it near the end will help to preserve its flavor Coat steaks, skewed paneer or chicken with crushed peppercorns before cooking. Keep a pepper mill on your dining table so that you can add its intense spark to a host of different recipes that you prepare.